My latest impulse purchase is a new and recent release, spotted purely by chance on AmazonUK and prequel to one of my favourites. A magical Pendleford prequel novella from the bestselling author of The Language of Spells, that introduces the world to Iris Harper – the original Harper witch. 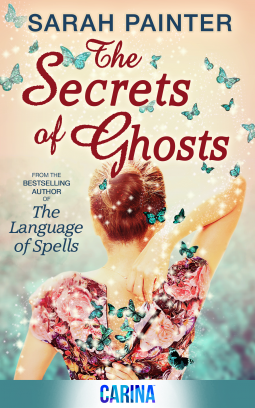 Having been captivated by the magic of the in 2013 released The Language of Spells the release of this prequel was a delightful surprise making it the third book in the Harper witch series. The second book being The Secrets of Ghosts released a year later in 2014 and featuring Kate and a delicious treat. The Harper witches are fascinating and each uniquely cursed with their individual gift. 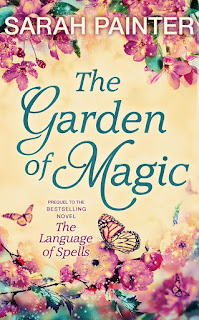 Sharing the common ground of magic the Harper Witch books remind me of another title, one of my favourites Garden Spells by Sarah Addison Allen. I really enjoyed this book. Once again the quality of the writing is superb with delightfully well thought of characters. In this book we are introduced to Iris Harper whose death preceded the first book. It was Iris who left the cottage to Gwen and so instigated Gwen's return to Pembleton. Whilst Iris is already in her eighties and struggling with the irritations of old age we are treated to glimpses into her past, showing a kinder, younger Iris and learn more of both her and her mothers gifts. It gave me the reader more insights into the first book, prompting me to retrieve it from the shelf and reopen it. Despite it being a lovely relaxing read I'm on the fence with this one. Yes having read both previous books I loved it but came away feeling a little shortchanged. My biggest criticism is the length, I was disappointed that in contrast to the 337 pages of the The Language of Spells this book contained only 107 pages. Iris is such a great character and deserved more, I am at a loss to understand why the author found her unworthy of a whole novel. With a large proportion of the book taken up with a sample of The Language of Spells this book felt like a teaser written solely for the purpose of relaunching The Language of Spells. This book is about having the confidence to tell the truth, the power of trust, deception and second chances set against a backdrop of magic. The current AmazonUK price of 99p is a fair price for fans of the other two books, but if you are new to the Harper Witches I suggest skipping this one and starting with The Language of Spells. Aurelia Row via GoodReads: "A short and sweet prequel featuring Iris Harper; a light, entertaining, story although it seemed to end abruptly." Alex P. via AmazonUK: "Sarah Painter is one of those authors who can create a world you can lose yourself in, with vivid descriptions and imagery that jump off the page/screen"